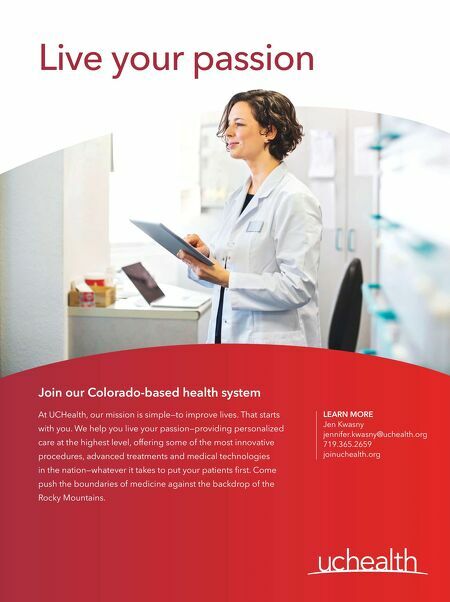 Live your passion LEARN MORE Jen Kwasny jennifer.kwasny@uchealth.org 719.365.2659 joinuchealth.org Join our Colorado-based health system At UCHealth, our mission is simple—to improve lives. That starts with you. We help you live your passion—providing personalized care at the highest level, offering some of the most innovative procedures, advanced treatments and medical technologies in the nation—whatever it takes to put your patients first. 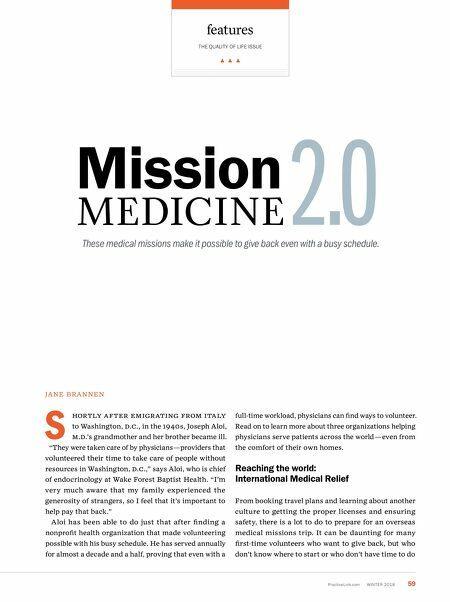 Come push the boundaries of medicine against the backdrop of the Rocky Mountains.